Cammisa + Wipf Principal Daig O’Connell was cordially invited by DMG North Rep, Dan Noone, to travel to South Korea for one week in November to visit various LG factories and reference sites with a small group of sales representatives, engineers, and contractors from the Western half of the United States. The intent of the junket was to observe the manufacture and installation of LG’s Multi-V VRF (Variable Refrigerant Flow) heat pump systems. The group rendezvoused in Seoul, followed the next morning by a factory visit near the Demilitarized Zone, before flying to Busan at the east end of the peninsula. While in Busan for a couple of days, they visited a reference site and factory in Changwon. 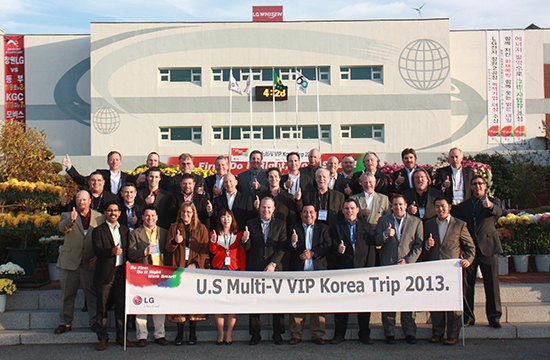 Midway through the week, the group returned to Seoul where they toured an impressive manufacturing facility, a research and development site, and visited LG’s Twin Towers. 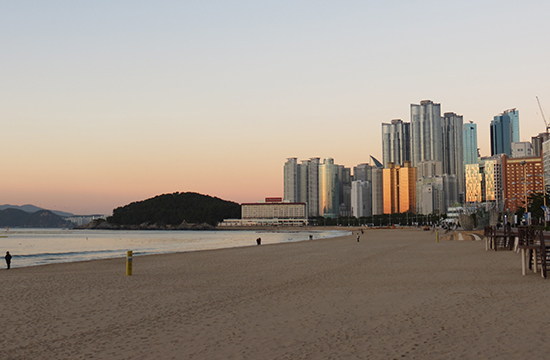 Although a majority of the trip was spent touring LG factories and reference sites, Daig made time to immerse himself in a discovery of Korean culture. Whenever down time was available Daig and Dan would go exploring. 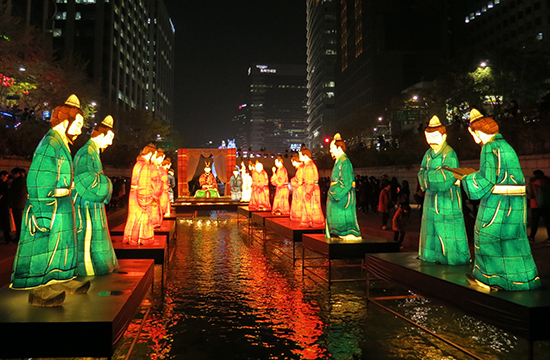 Lucky for them, they happened to be in Seoul when the beautifully intricate Exhibition of Lanterns Carrying Hanseong Baekje’s Dreams was taking place. These lanterns, which were also a part of Seoul’s 2013 Lantern Festival, were placed around the Seokchon East Lake and were visible from the pathway around the lake and the street above. Other culturally noteworthy experiences included, visiting Namsan Mountain Park (also known as Mount Mongmyeok) – reportedly the center of Seoul and a great place to go hiking, touring Deoksugung Palace – considered one of the five grand palaces in Korean history, walking a tunnel 150 feet below the Demilitarized Zone – constructed secretly by North Koreans and recently discovered, exploring Seoul’s expansive fish market, and enjoying authentic Korean Barbeque with his teammates. Korean etiquette requires that you never pour your own beverage, but ensure that your neighbor’s beer or soju glass is never empty.